Want your kids to be as happy as pigs in mud? 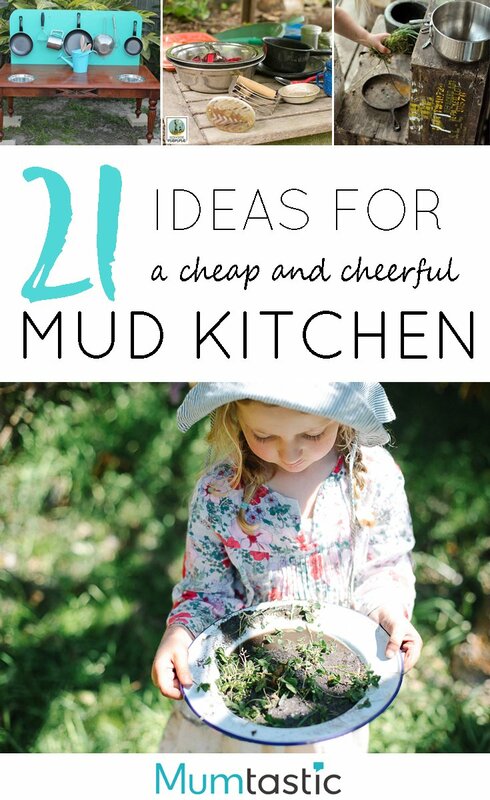 Build a mud kitchen and encourage them to make as many mud pies as their hearts desire. No, I’m not joking! Yes, mud kitchens are a thing and parents (and kids) swear by them. There’s nothing particularly special about them; they’re just an old table, an old bucket, perhaps a wonky construction put together with recycled fence palings….basically a make-do play kitchen that sits in the backyard, begging the kids to come and play. And they do! If you want to encourage your kids to spend more time outdoors and you’re keen to nurture their creativity, a mud kitchen is the answer. Mud kitchens are an essential element in a Steiner/Waldorf play environment. Meagan Wilson, mother of four, Steiner educator and owner of Whole Family Rhythms, says these simple constructs are a perfect example of nature-inspired creative learning. “Creative play in nature is grounding, soothes the senses and calms our nervous system. 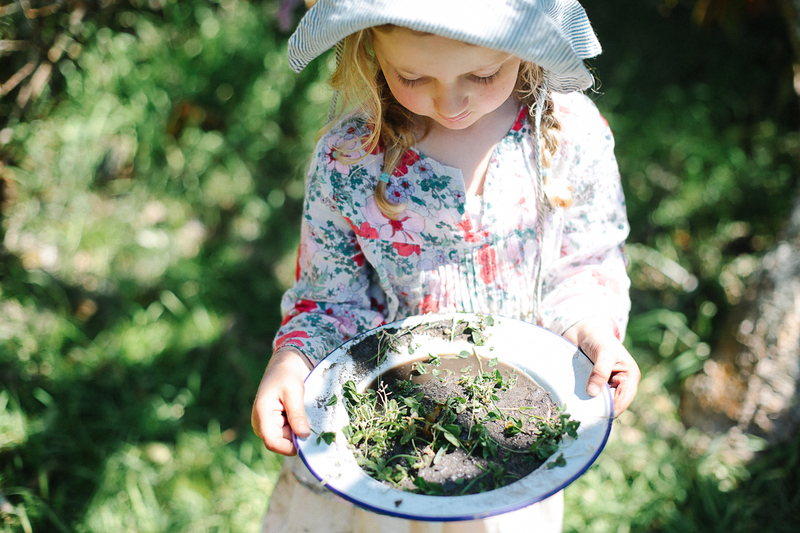 Children love to play by imitating the world around them; in a mud kitchen children are making ‘real’ recipes and enjoying the creative and imaginative process,” she says. 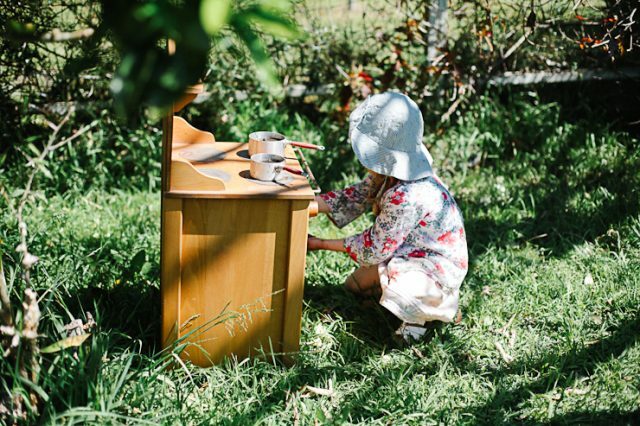 Meagan admits that what she loves most about her mud kitchen is that it provides hours of outdoor entertainment for her children. Indeed, giving our kids permission to get dirty gives them the freedom to play uninhibited – and happily! So what do you need to make your own? There are plenty of inspiring ideas on Pinterest – of course! – but before you get carried away with grand plans that may take months to come to fruition, start simply. Meagan suggests finding a simple wooden base (even a table on council pick-up day will do!). And then? Mud and sand! A watering can is helpful for children to pour and make things really muddy and stainless steel cups and coffee pots can be found at local op shops and are just perfect for muddy tea parties. Take a look through the gallery and be inspired to build a mud kitchen that suits your home and kids. Mud kitchens really do set the scene for hours of entertainment. When it’s time to call your kids inside for lunch, take off the muddy clothes at the back door, wash their hands well, fill their bellies and then…time for a nice, long afternoon nap.